Have you recovered from Dreamforce yet or do you still feel a little nuts right now? Totally fine if you do, we're right there with you! In the words of Nora Ephron, "Insane people are always sure that they are fine. It is only the sane people who are willing to admit that they are crazy." We're heading into the holiday season which can increase stress levels. So, is everything good? Are you hydrated? Caught up on emails? Have you slept? 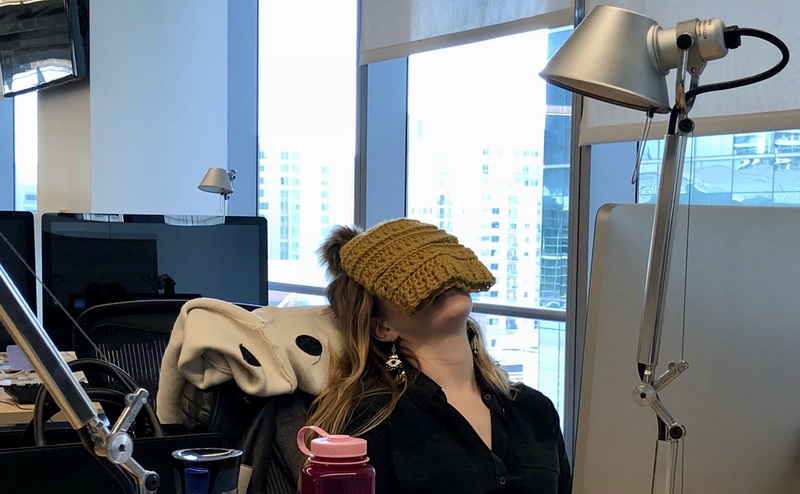 This post-Dreamforce/pre-holiday time is all about self-care and declining as many meetings as you like. Just look at this human - she hasn't spoken to anyone all week... Okay, yeah that's me, in serious need of a wellness check. Do you know what else makes people feel crazy? Running the office playlist. With that, we wish you well. P.S. We decided next year to host the Bravado Wellness Tent. There will be Enya on a Sonos, smartwater™, and a giant bowl of cruciferous vegetables. We'll share more information in 10 months or so.